On the fourth day of Christmas Beyond The Picket Fence showed us all...a shiny wreath made of Christmas balls. 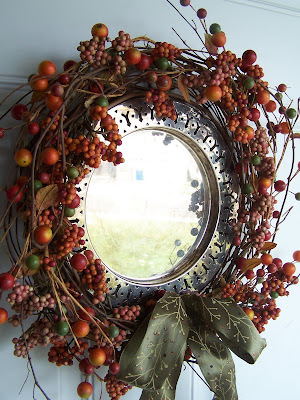 A few years ago I showed you a fall wreath that I had added a silver plated platter to. I decided I wanted a Christmas wreath that also had a great reflective shine to it. I know you have seen lots of Christmas ball wreaths--but the silver plated platter as the base is a twist I haven't seen. I pulled out my box of Christmas balls. I pick these up at garage sales and thrift stores--the ideas are endless. See past thing I have done with them here and here. Some of these are old vintage ones, but some just have that great patina from spending a Montana Christmas outdoors. There was no rhyme or reason--I just used a lot of hot glue and eyeballed it. I will only use it indoors since the hot glue will not do well with the below zero temps. Fun, shiny and made all from things I have on hand. Find more great ideas at Cottage Instincts Make It For Monday party. I love this!! 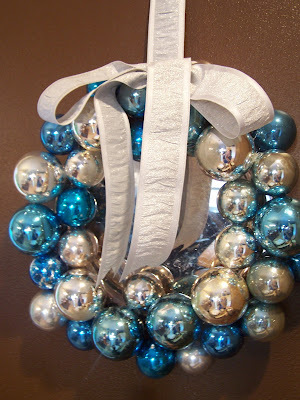 Every year I tell myself I am going to make such a wreath but have yet to do so! I think I will hit up the dollar store to see what I can find. So pretty! I love all the shine! I love the tray idea! 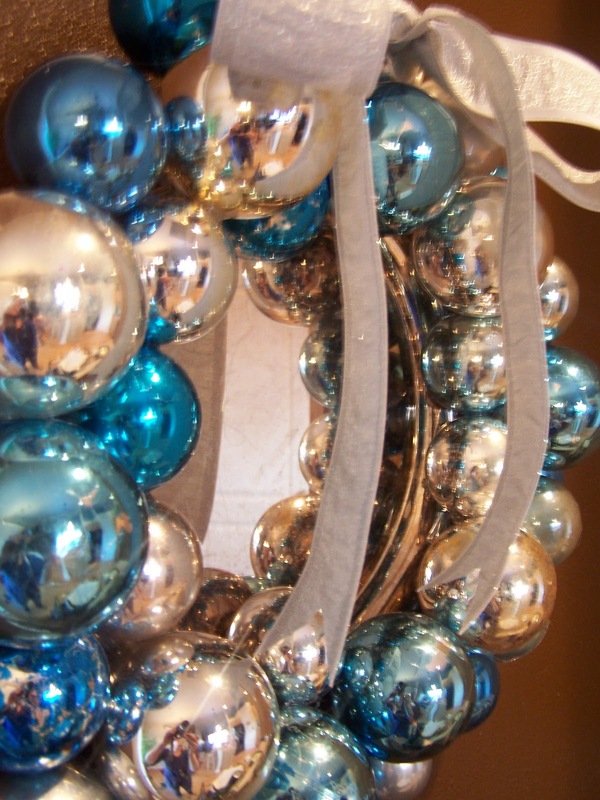 Last year I made a 4ft wide wreath on an old grapevine wreath I had forever. I covered it in unbreakable ornaments of all colors & sizes. I used E6000 glue with dabs of hot glue to hold them in place till the glue set. It held together through a very cold NY winter and looked beautiful! That is just gorgeous! I want to make one! 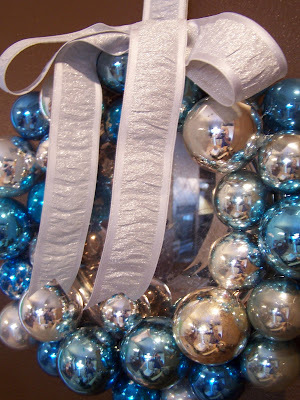 The tray looks lovely inside the wreath. Lvoe the ornament decorations too. A great idea with mirror decoration. A very extraordinary one. I guess it brings much of individuality to the whole interior design. I can offer some special ideas at my blog too.